Christmas isn’t just about Santa. How about an incredible way to help your family celebrate the true meaning of Christmas? 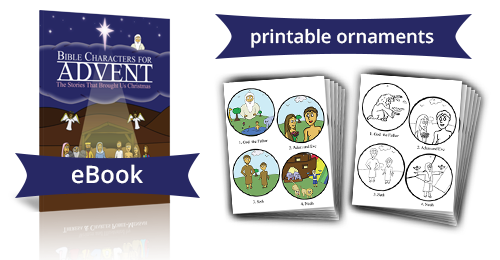 We started by writing Bible Characters for Advent a one of kind fully illustrated children’s book for parents who want their children to learn about Jesus and the Bible during the season of Advent. Then we created this companion site, My Jesse Tree filled with daily crafts and printables etc to be your ultimate guide to a faith filled Advent. Whether you’re looking for the perfect Advent book for your family or everything you need start a Jesse Tree tradition. We’ve got you covered!